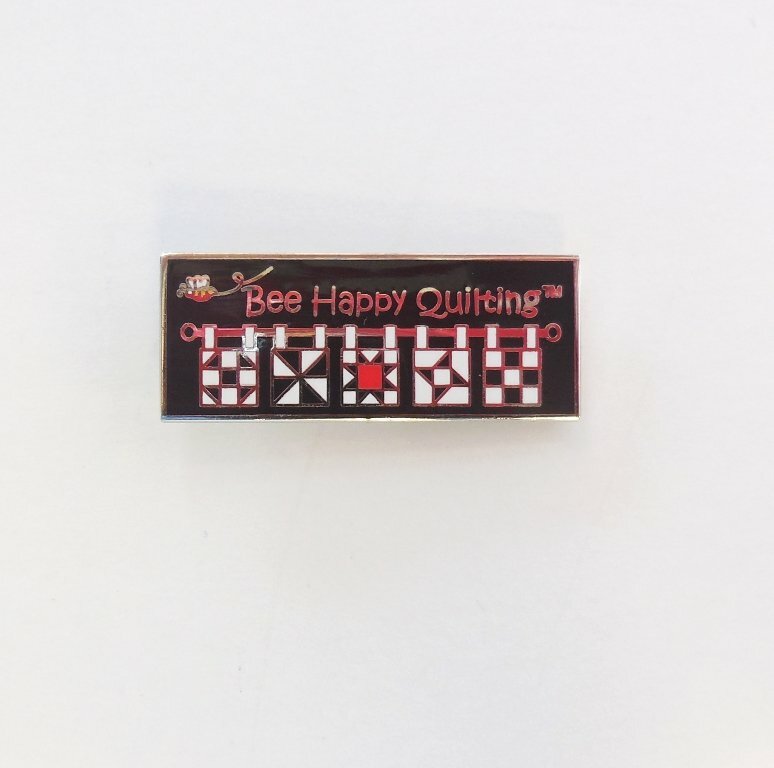 This is an exclusive Bee Happy Quilting Pin. These top quality ½" x 1¼" pins are hand glass enameled with nickel plated metal. Each pin includes a tie tack back. We are offering this exclusive pin at a reduced price for our customers. What a great gift for your quilting friends.